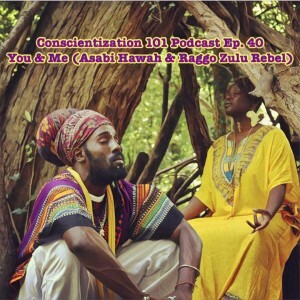 In the conclusion of our two part series, A Complementary Bond: You & Me-Asabi Hawah & Raggo Zulu Rebel, we explore with You & Me the importance of conscientization in understanding African identity within the proper context and the development of specific songs on their critically acclaimed debut album Folk Songs. The Podcast Was Just A Snippet Of The Interview. Want To Listen To The Unabridged Interview? Click Here!